The Arena Boys' Limited Edition Powerskin ST 2.0 Jammer Tech Suit Swimsuit marks a new generation in a classic Arena high performance racing suit. Superior knitted fabrics have been combined to provide outstanding stretch, optimal compression, and total freedom of movement. 71% Polyamide / 29% Elastane. Ergonomic construction for enhanced core support, stability, body lift, and comfort. Helps swimmers keep optimum shape in the water. Reinforced shoulder strap enhances upper back comfort and durability. Flatlock seams provide a "perfect fit" feel. 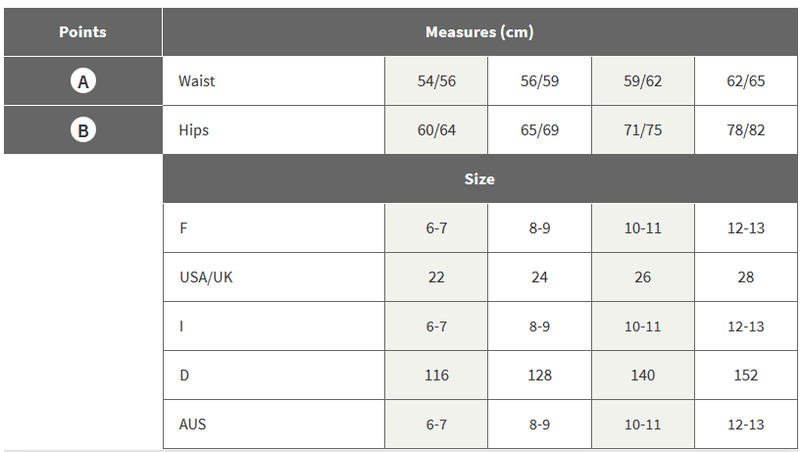 Sizing & Fit: Compression fit. A - WAIST: Measure around the fullest part of your waistline. B - HIP: Measure around the fullest part of your hips.